If you are a dentist looking to refer a patient, please complete the form at the bottom of this page. Our clinicians have fitted thousands of implants, with a success rate close to 100% over the last five years. We are acutely aware of potential complications, so prevention and preparation are key to success. Working alongside clinicians with over 20 years’ experience, some in very complex cases, our expertise is in all current implant systems, All-on-4ever, bridgework and same-day treatments. We bring in relevant specialists as required and facilitate entire treatments in nearly all cases with an emphasis on patient comfort and choice. Our main priorities at The Implant & Ceramic Dental Studios are the quality of treatments, patient care and the service we provide to our referring practitioners. We are one of very few facilities in the country to offer a five-year guarantee which can be integrated through referring dental practice services following any treatment using treatment programmes and aftercare packages. We will ensure all options are discussed and a full treatment plan is followed from beginning to end for the best results. A dedicated team continuously updates our protocol governing consent, planning, sterilisation, sedation and aftercare. We undertake a yearly review on implants too. Every aspect of our dentistry is ‘Best Practice’. 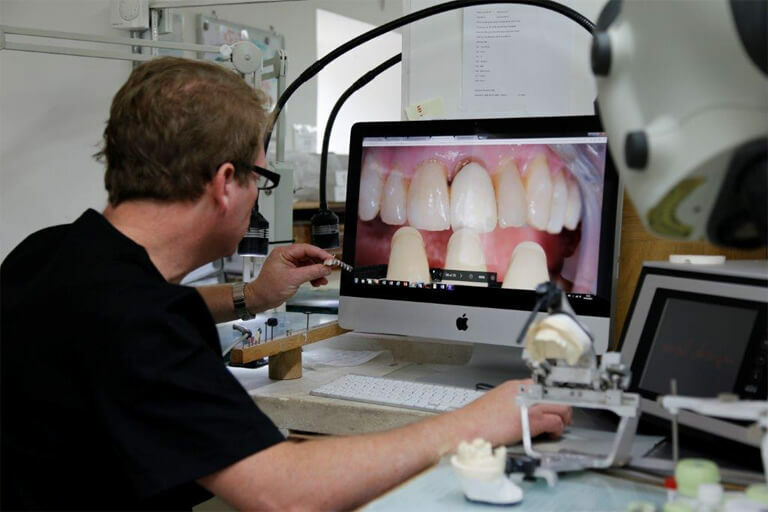 Our dentist training programmes are supported by Vita and Panadent and demonstrations on the latest technology and systems are provided on-site and at dentist partner practices. Dentists travel from all over the UK for demonstrations of the latest techniques and services.